Two search warrants reveal more information about a synthetic opioid called “pink” in the Park City community. According to the affidavits for search warrants in Summit and Wasatch counties, on September 13th a juvenile female told police officers that two months earlier, two juvenile males asked her to help them obtain a controlled substance through the mail. The two boys told her that the contents of the package were legal, but their parents were screening their mail for drugs so they couldn’t have the package sent to them. She said in mid-August, a package from China arrived at her house. 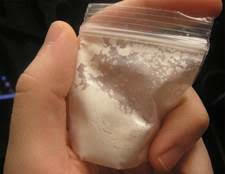 She opened it and saw a clear bag containing a white powder substance. She gave it to the two boys. She also told police that one of the boys ordered the controlled substance from the internet, and she saw him place the order at a house in the Deer Crest area near Jordanelle State Park. She also saw him distribute the substance to two juvenile friends. Police also interviewed the therapist of the second male juvenile, who said he identified the substance that arrived in the mail as the opioid called U-47700, which police say has the street name of “pink” or “pinky”. According to the search warrants, a gray laptop computer was taken from that home in Deer Crest and another was taken from a home in Pinebrook in Summit County. For the past three weeks, Park City police have been investigating the deaths of two 13 year old boys, who were students at Treasure Mountain Junior High School. Grant Seaver died at his home just a couple of days before Ryan Ainsworth died at his house. Police are waiting for toxicology reports to help determine the cause of the death. While the search warrants don’t mention either boy specifically, the interview with the female juvenile occurred just a couple of days after they died. The search warrants contain the names of the two boys , but since they are juveniles, KPCW has decided not to air them.